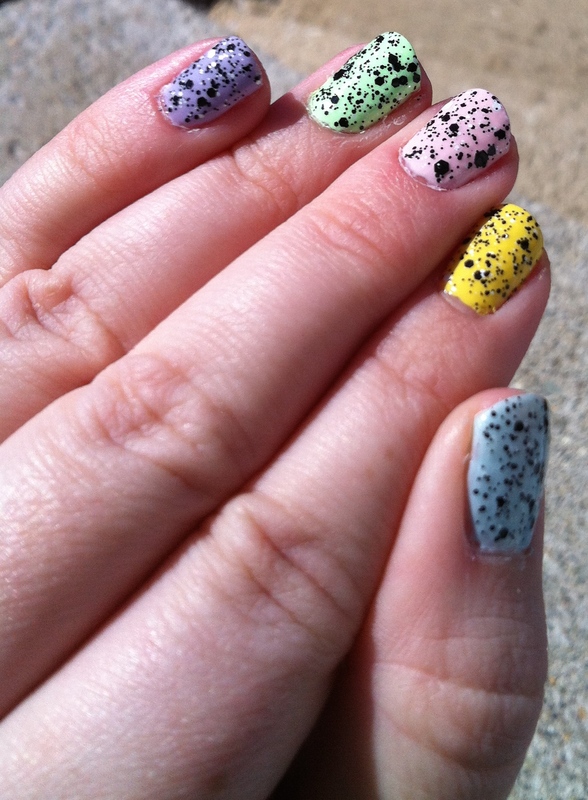 I did each nail in a different spring shade. 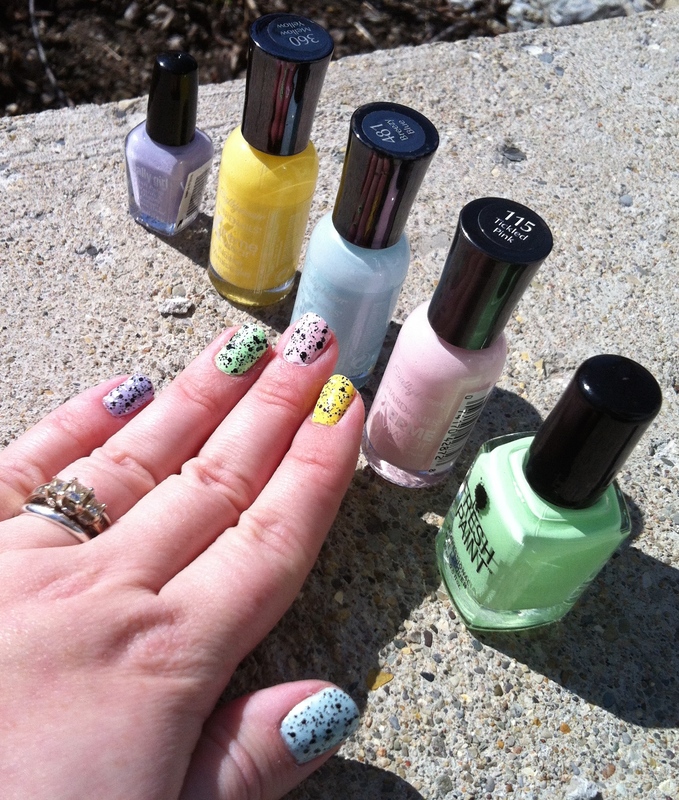 From left to right I used: Sally Girl Simple, Sally Hansen Xtreme Wear Mellow Yellow, Sally Hansen Xtreme Wear Breezy Blue, Sally Hansen Xtreme Wear Tickled Pink, and Fresh Paint Honeydew. 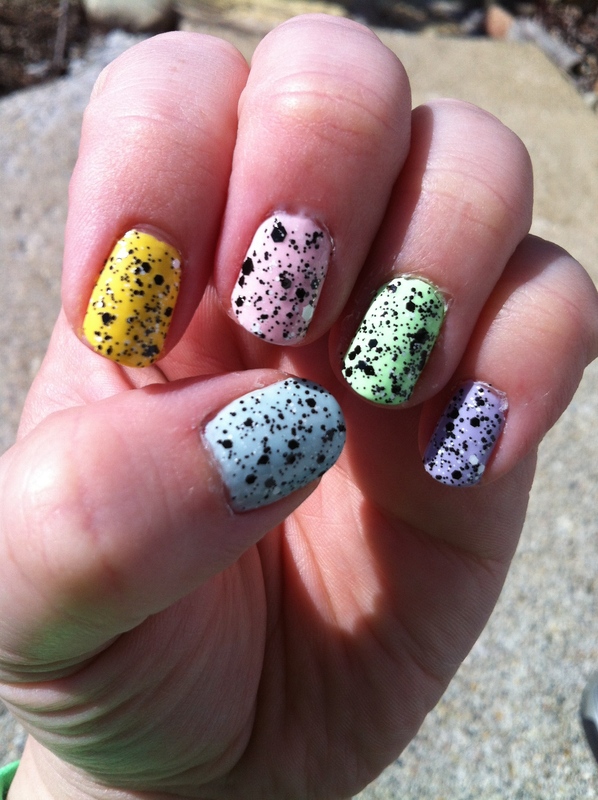 Since all of these are light colors, I needed about three coats of each to feel good about them. 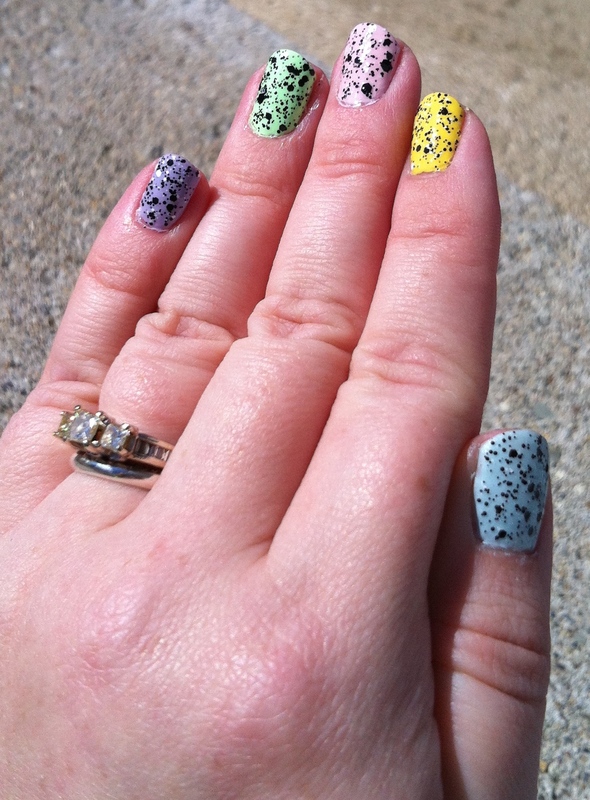 I topped off all of the nails with a coat of Maybelline Color Show Polka Dots Clearly Spotted. 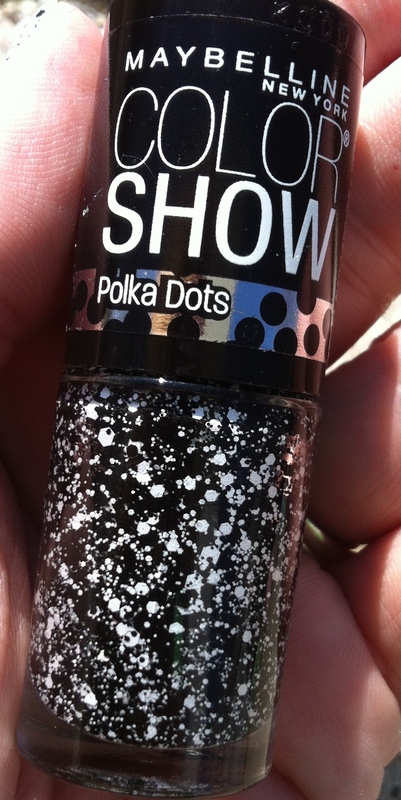 This polish is made of of different sizes of black and white dots, and I wish I had another bottle, because I can’t find it anywhere now. 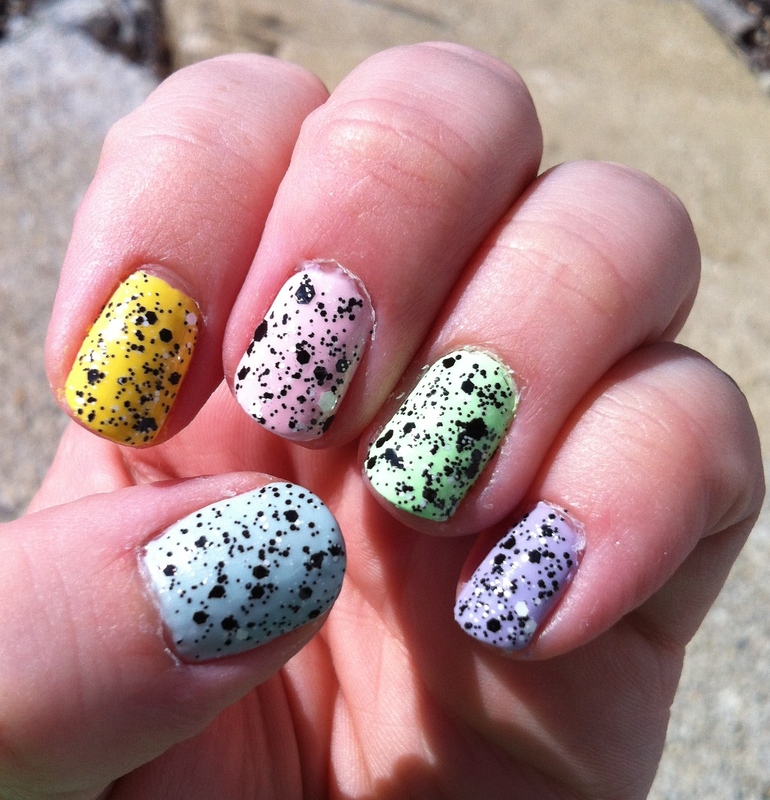 I thought these colors looked really fun together, and they will make a cute look for Easter. The remind of me the Robin Egg candies. Have a very blessed Easter! Thanks for reading! No Fooling! You’ve Gotta Try This! Thanks! I am enjoying them!